jane iredale's Active Light Under-Eye Concealer features a nourishing antioxidant formula that helps to reduce under-eye puffiness as it conceals and brightens dark shadows. Its unique ingredients create a soft-focus effect that conceals while it brightens. No. 4: Medium-Peach, neutralizes blue, violet and grey. An under-eye concealer and facial highlighter that refracts light for a soft-focus finish. Provides sheer to medium coverage for under-eye shadows. 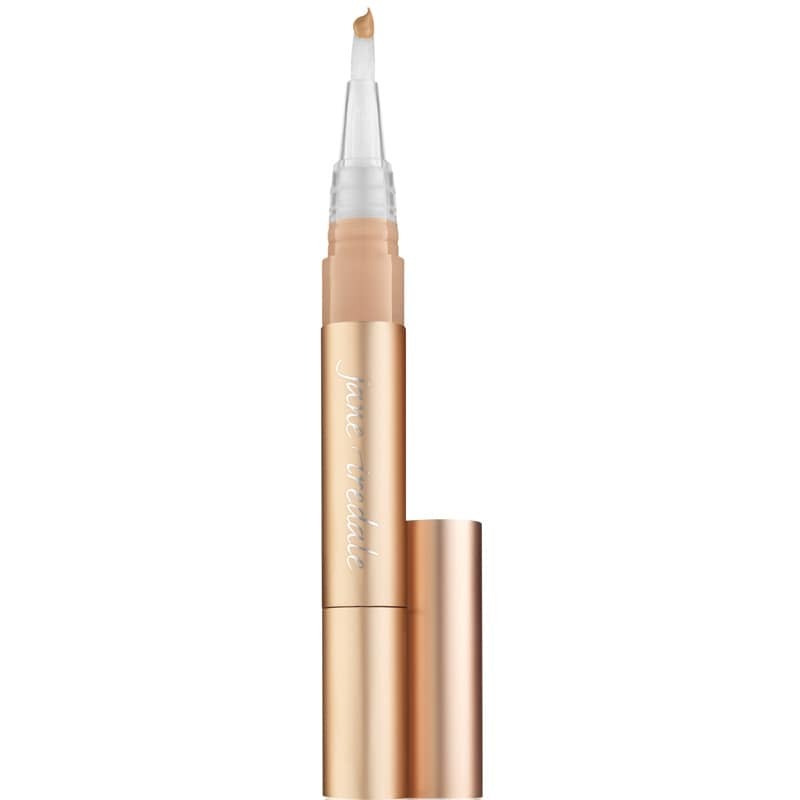 All jane iredale products is certified cruelty-free by the Coalition for Consumer Information on Cosmetics' (CCIC) Leaping Bunny Program, the leading internationally respected animal protection group for cruelty-free certification. These products are also certified cruelty-free by PETA. Isopropyl Jojobate, Isostearyl Neopentanoate, Persea Gratissima (Avocado) Oil, Helianthus Annuus (Sunflower) Seed Oil, Mica, Titanium Dioxide (CI 77891), Cera Alba (Beeswax), Euphorbia Cerifera (Candelilla) Wax, Hydrated Silica, Boron Nitride, Rosa Canina (Rosehips) Fruit Oil, Caprylic/Capric Triglyceride, Cucumis Sativus (Cucumber) Fruit Extract, Camellia Sinensis (White Tea) Leaf Extract, Rosmarinus Officinalis (Rosemary) Leaf Extract, Crambe Maritima Leaf Extract, Laminaria Ochroleuca Extract, Ascorbyl Palmitate, [+/- (May Contain) Iron Oxides (CI 77489, CI 77491, CI 77492, CI 77499), Chromium Oxide Greens (CI 77288)].